SAN LUIS OBISPO — Cal Poly’s student-run radio station 91.3 KCPR took the No. 1 spot on Great Value Colleges’ list of 30 Amazing College Radio Stations of 2017-18. The list of rankings was released in September and includes university radio stations such as Georgetown University and UC Berkeley. Cal Poly took the top spot based on its “dedication to the students and culture,” according to Great Value Colleges, a website dedicated to helping students make decisions about their college education. 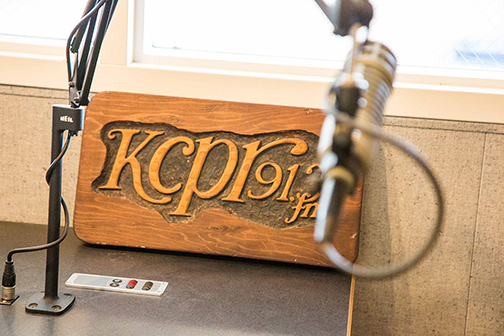 KCPR was started almost 50 years ago and has grown to broadcast 24 hours a day from its station headquarters on Cal Poly’s campus. A number of structural and management changes within the last 10 years have further integrated the station into the Journalism Department curriculum. KCPR is now part of Mustang Media Group, Cal Poly’s full-service student-run news organization, which also includes a weekly newspaper, a newswebsite, a weekly TV broadcast and a business department that markets to the community and manages advertisement sales. The new structure gives the radio station real-time access to breaking news. KCPR streams live on www.kcpr.org and has a weekly playlist on Spotify. Cal Poly’s student-run radio station, KCPR, broadcasts 24 hours a day from its station headquarters on campus. Cal Poly’s Journalism Department offers a professional program that prepares students for real-world careers. Beginning with core courses that establish a strong foundation in the field, journalism majors then focus on media specializations of their choice. Students have the opportunity to acquire practical experience by working for the department’s converged media center, newspaper, campus radio and TV station, or the student public relations agency.